Evi is the one mobile app that provides solutions for your everyday problems. Unlike a search engine, which simply looks for matching words and shows you a list of websites, Evi understands what you want to know and gives back exactly what you need in order to get stuff done. Need to know where the nearest place to buy milk? She can help. Going out for dinner, but can’t decide where? She can help with that too. You can even ask her to send a text message to your friends and invite them along and then mark the date in your diary! Life is simpler with Evi. -Get stuff done – With voice powered phone controls, you can schedule events, make calls, send SMS or email your friends. – More than a search engine – Evi takes the searching out of search, able to review and compare nearly a billion facts from her database to give you exactly what you need. · Handset controls now change Evi’s speaking volume whenever the app is open. · Improved Evi’s response when a requested contact has no email address stored. · Improved iOS 6 compatability. With Onavo Count, finally understand which of your apps are using up your data plan! This attractive and easy-to-use app is the only app that breaks down your 3G/4G/LTE data usage by app without draining your battery. Onavo Count solves the mystery of your monthly bills by giving you a bird’s eye view of the data used by each app. What makes Onavo Count even better is that it monitors your data in the cloud, keeping your battery from being drained while giving you useful information on your data usage. If you are not already using Onavo Extend, to use Onavo Count you will need to install the Onavo configuration profile. Onavo Count can also be combined with the power of Onavo Extend, our blockbuster, free app that extends your data plan by up to 5 times, to give you the ultimate, worry free mobile data experience! Brains and beauty! This new app shows you just how much data is being used by each of your apps! Already a Pandora listener? Even easier. Just log in. Pandora on iPhone is fully integrated with Pandora on the web. Enjoy all your existing stations – and create new ones right from youriPhone, iPod Touch or iPad. 4.0.1 is a minor update to support landscape mode in iPads running iOS 6. – Touch to walk, swipe to jump, and build webs by drawing shapes in the environment. – Powerful, intuitive controls; easy to pick up, challenging to master. – 38 beautifully hand-illustrated levels to explore, optimized for the retina display. – Hunt your insect prey, leaving Bryce Manor covered in cobwebs! – Search for family secrets in the shadowy basement, beneath the floorboards, and in the darkest corners. – Use instinct and guile to track down an assortment of tasty insects. – Tackle hornets, herd mosquitoes, stun dragonflies, attract moths with light, and more! – Plan your meals wisely! Run out of silk and risk your demise. – 4 game modes offer limitless depth: race against time in Feeding Frenzy, solve the puzzles of Precision, and survive the intensity of Hunger Mode. – Earn 48 challenging Achievements including Linebacker, Gaping Maw, and One Fell Stroke. – Compete with the world on the Spider global leaderboards. Spin together massive combos to get the highest score! – Use Facebook Connect to share stories and compare high scores with your friends! – Enjoy the delicious Spider soundtrack, or listen from your own music library. Tiger Style is a distributed collective of passionate video game developers, from industry veterans to indie musicians. We’re here to bring premiere, unique game experiences to your iPhone and iPod Touch. Tiger Style is currently working hard on their second game, Waking Mars. – iPhone 5 Display Support! – Fixed occasional black screen in iOS 6. NOTE’d sort notepads for use you want and save every minute of you whenever. the music ringing in your ears and here at your feet. Do note’d the everything. ✔ NOTE’d provides many useful features. Download APPODAY to get more premium apps like SimplePhysics for FREE. Be sure to download my newest app, Dummy Defense, where you must use your engineering skills to protect the dummy from explosions, death pits, boulders, and more! SimplePhysics lets you design complex structures for everything from tree houses to ferris wheels and then simulates your design with a sophisticated physics engine. The Google Search app for iPhone, iPad, and iPod Touch. ✓ Simply say what you want and get results without typing. ✓ Faster and significantly improved voice recognition with text streamed on the fly. ✓ Get answers spoken directly back to you with web results tailored to your questions. ✓ Want to see types of questions that work well? Visit http://google.com/support/mobile/?p=gsa_voice. Create stunning photobooks in a snap from your iPhone with Mosaic. 20 photos, $20, arrives in just 4 days. Mosaic is something entirely new. It’s the photos you just took. It’s an app that’s fast and seamless. It’s a first of its kind book delivered to your door. It’s something you’ll love. • Create with a tap – Creating a Mosaic is fast and easy — just tap. Quickly pick those great birthday or BBQ photos, flip through the stunning book preview, and order. • Choose 20 photos – Your twenty photos make each Mosaic unique. • Realistic preview – Preview your Mosaic with a swipe through the beautiful book interface. • 7″ square – Mosaic is just the right size at 7-inches square for anyone in the family to enjoy. • Quality you feel – It all starts with 13 precisely machined windows to showcase your photos. It continues with a durable linen cover that feels great. Your photos are printed razor sharp on silky smooth paper engineered specifically for our presses to ensure colors are vivid and blacks are inky. • Just $20 – Mosaics are a flat price of $20 + tax & shipping. No surprises, just a fair and honest price. • Arrives in 4 days – Mosaics are printed within 48 hours and shipped UPS Second Day Air. • Great for every occasion – Perfect for the weekend BBQ, the impromptu camping trip, the romantic weekend getaway, the trip to the amusement park, favorite latte art, a day at the zoo, a surprise birthday party. • Gift – You want a gift that is thoughtful and personal, but you don’t have a lot of spare time. Mosaic gives you just what you’ve been looking for. Step back into whatever era you fancy, the “Video Time Machine” way! #1 paid iPad App in the USA! 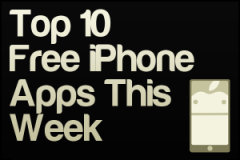 #2 paid iPhone Entertainment App in the USA! #1 paid Entertainment app in over 20 countries! We are adding more videos almost every day!!! Leave us feedback for what you’d like to see in future versions of the app! We are here to support you! ★ Over 15 Million downloads of Geared, Geared 2! Geared 2 is the follow up to Geared (#1 Paid Game), a physics based puzzle game with one goal: power the blue gears. Unlike other gear-based games, Geared 2 has no restrictive snap-grid, delivering total freedom to the player. Overcome obstacles and more in this simple but brilliant spatial puzzle. – 60 official levels of addictive gameplay. – 440 amazing and creative user levels! – Massive new level packs with addictive gameplay. – A Level Editor / Uploader / Downloader. – Play with your own music! – Amazing new menu interface!